Issue 1, 2019 of Ansys Advantage Magazine features a terrific article, “Catching the Sun,” which looks at how engineers use simulation and wind tunnel testing to avoid damage to solar trackers for solar energy. 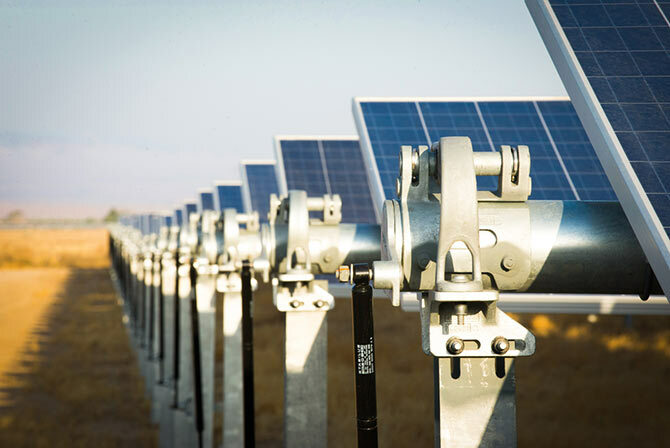 Summary: By rotating solar panels to follow the sun across the sky, solar trackers can generate more power. These solar power plants can be damaged by aeroelastic instability at modest windspeeds. CPP Wind Engineering used simulation to determine the nature of the instability and to identify operating procedures and design changes that can prevent them.